The 20-year old Nigerian defender is making the temporal switch from Portuguese club, FC Porto. 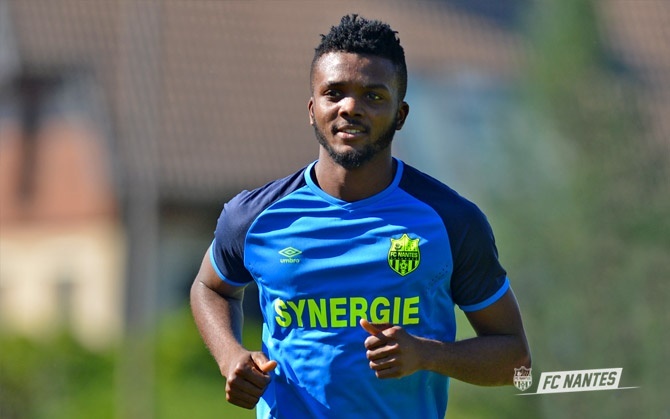 French club FC Nantes have officially confirmed that they have signed-on a Nigeria international, Chidozie Awaziem, on a season-long loan deal. The 20-year-old is making the temporal switch from Portuguese club, FC Porto and he has been handed the Number 12 jersey for the season. Awaziem featured predominantly for the Porto B team last season and made his debut for the Super Eagles last month in an Africa Cup of Nations qualifier against South Africa. That game turned out not to be a dream debut as the Super Eagles were stunned 2-0 by South Africa in Uyo and some accusing fingers were pointed at the direction of Awaziem who surprisingly got a starting role in that ill-fated game. His move may just be another chance for a Nigerian to make a mark in the club. Former Super Eagles striker and later coach, Samson Siasia, made his name during his playing days at Nantes.